Tania is an avid baker, and has been for the past 10 years. She is self-taught, having caught the baking bug after taking a cake decorating class with a friend. Prior to that, she could hardly boil water. After lots of practice and taste testing from her husband Jason, she has become an accomplished home baker, specializing in cupcakes. 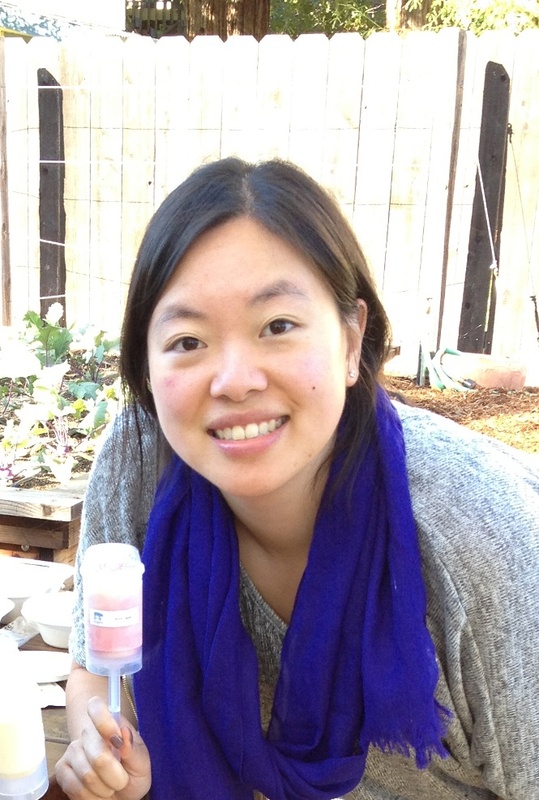 For over one year, Tania has participated in a local cupcake competition, Iron Cupcake San Francisco, and has won first place a number of times. She loves to bring her test recipes for her friends and coworkers to try. Tania lives in Noe Valley with her husband Jason and their two cats. Culinary Idols: Martha Stewart, Ina Garten, Candace Nelson. Jenn is our social media gal, blogger and graphic designer. She lives and breathes all things sweet. Having grown up watching Martha Stewart, Gale Gand and Jacques Torres, she realized pastry was more than just boxed mixes and her interest became a passion. In 2010, she moved to San Francisco and surrounded herself with fellow food lovers at Williams-Sonoma. In 2012, she graduated from the Tante Marie Cooking School pastry program and as a present to herself she went to Paris for a week-long pastry research trip which is documented among other food adventures on her blog, deliciouslynoted.com. The first step of Leticia's culinary journey began...well, it began the moment she was born -- during an Autumn Harvest Moon in the SouthWest of the U.S., with the crops high and the produce bountiful. During her formative years, Leticia's learned basic food skills and the importance of family, at the side of her mother -- who was raising seven children on her own, yet nevertheless took great pride in creating nightly meals, all from scratch. A firm believer that real-world experience is as valuable as knowledge gained in a classroom, Leticia's most memorable food-inspired sojourn was into the mountains of the Mexican state of Puebla. There, she learned from native grandmothers the secrets of making a classic 'mole poblano' -- the luxurious and thick sauce with a hint of chocolate that is a key element in many Mexican celebratory dishes. 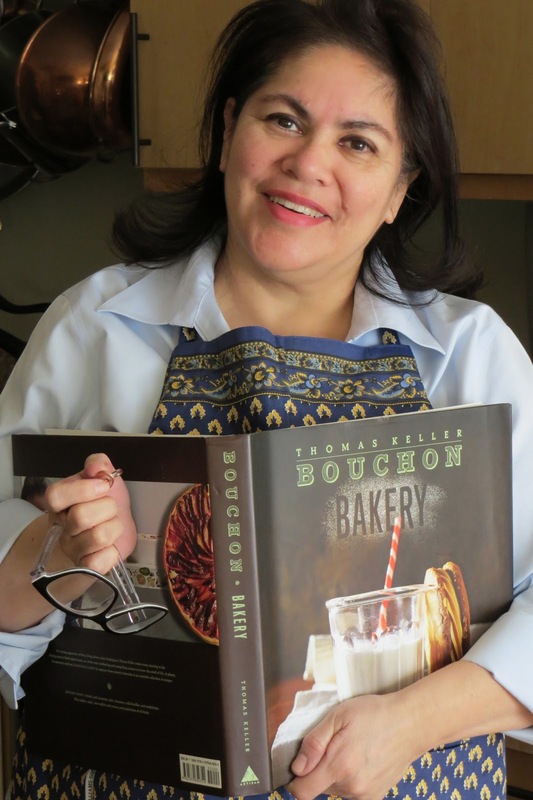 And now, although not a professionally-trained baker, Leticia has begun her newest culinary expedition -- as part of the Bouchon Bakery Book Project. 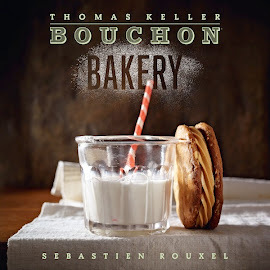 During the next few months, she anticipates overcoming unexpected hurdles; discovering new talents; honing long-learned skills; and making her family and friends fat and happy with her Bouchon inspired creations. Guest Bakers: Thank you for your enthusiasm and participation!